A captive portal is like a door to access wireless services, and you probably have encountered a captive portal at one point or another. It may look like a standard webpage with a pre-assigned user ID and password or in a way that allows users to input a room number (i.e. hotels, hospitals etc.) and most people click through the login process without giving it much thought. 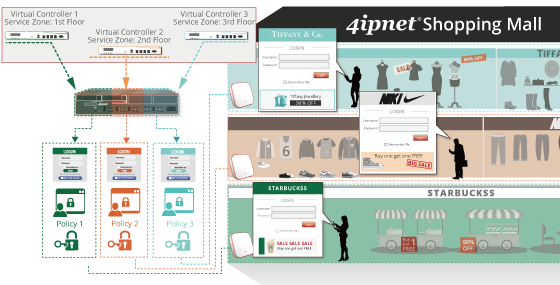 Combined with 4ipnet’s Service Zone architecture, network administrators can quickly enable multiple unique Wi-Fi login pages per deployment depending on various access point locations. Each login page is fully customizable to show unique branding or location-based advertisements, and can also be designed with customer-defined data fields for collecting relevant data for analytics and marketing. 4ipnet supports multiple social media login, such as Facebook, Twitter, LinkedIn, Google Plus, Weibo and VK. 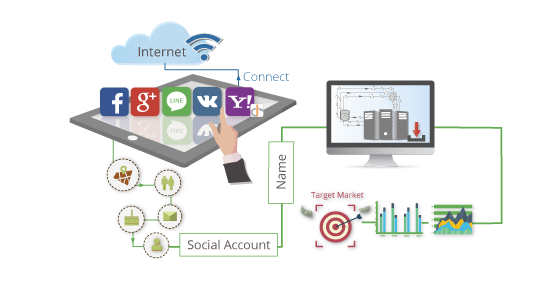 Using this type of authentication not only makes it familiar and easy to use for the client but also provides the business with loads of social data beyond the standard form fields.